[Primary Move] Lightning Strike: Cole’s armor is a natural lightning rod and can be amplified to cause lightning to strike his body even when there’s no storm in sight. When struck he is supercharged temporarily increasing speed and damage. Can also place enemies in the path of the strike for damage. [Secondary Move] Katar Drill: Rotates his hands very quickly turning them into a drill. Good for piercing damage. 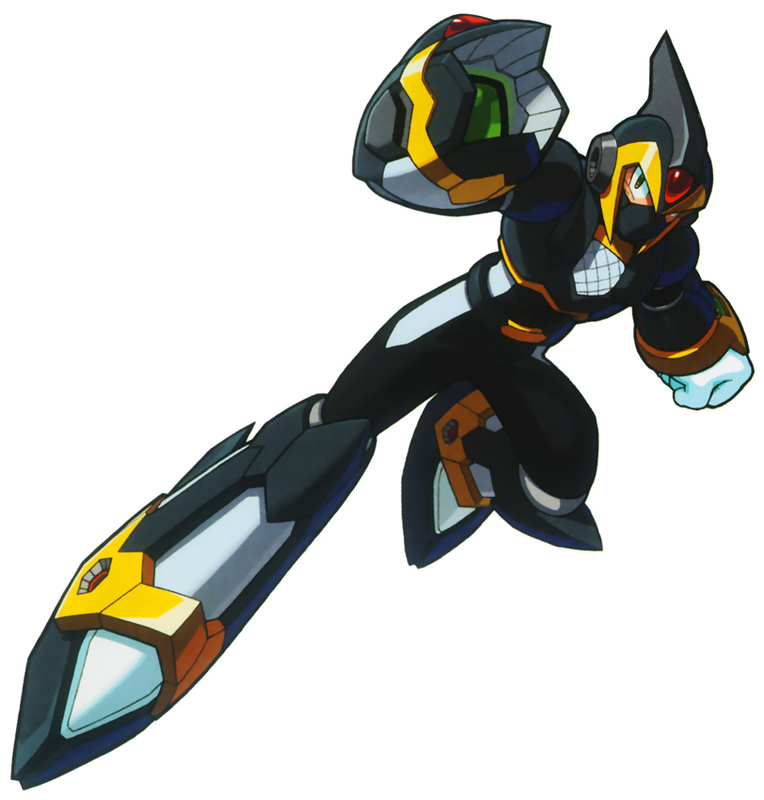 [Tertiary Move] Teleport: Due to his reploid nature he is actually able to digitize his form and move it to another location. Generally needs to know where he’s going and has a limited range. But can be combined with a skilled computer technician to be sent over datapad networks. To find his place for now and maybe find a way home someday. Cole is not from this world. Or this time. Or even this universe. No, he’s from a failed ‘turn’, a timeline that ultimately fell to ruin. During his time in his world he was a bounty hunter though he quickly grew tired of the uncertainty of when his next paycheck might come in. So he decided to find something steady and eventually found himself under the command Warren Carmichael, Ire in his world, and despite the unit being a ‘laughing stock’ he saw the truth. The truth that they were constantly being dumped garbage work and expected to bring about unrealistic outcomes. But Cole persisted because he understood that the unit was full of strong and talented individuals who deserved more recognition. A steady paycheck wasn’t a bad thing either..
Then, a group of almost a dozen people showed of claiming to be new recruits. Having been short staffed Ire and Cole accepted them gladly despite understanding that something fishy was going on. Despite this, the new recruits helped them solve many of their toughest cases and then right as things started to turn for the better they announced that they were from another ‘turn’ and that a powerful being was trying to reshape all of reality to his image and desire. But there was a way to send them back, thanks to the power of the Emerald Sword that his friend Katrina wielded, they could push them back to their time...but it was dangerous. Cole gave as much power as he could to help Katrina succeed, but the cost was high, they both perished. Or, that was the idea. During the fight with Destiny, the being trying to alter reality, Katrina was discovered and so was a piece of Cole’s armor. Once back in their time Katrina had to settle into life in a new world...except she wasn’t alone for long as suddenly Cole’s armor started reacting and with almost a blink of an eye Cole was standing in the armory. Now they have to figure out how to live in a world that is clearly not their own.